The SPTC is also looking forward to working with the Department of Environment (DOE) in deterring the use of garbage for landfill. 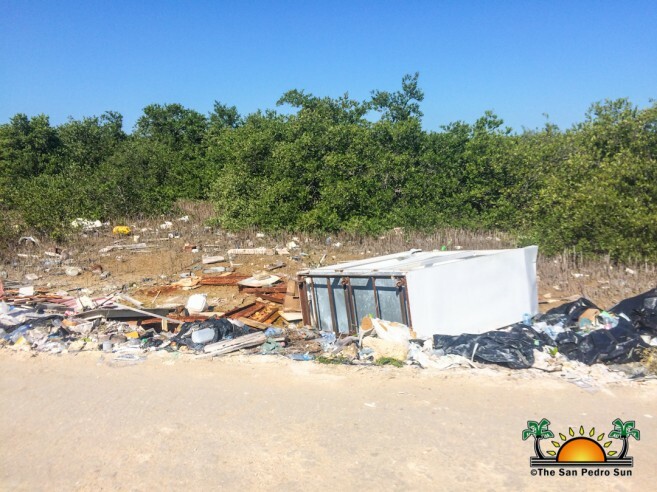 Over the last several month's properties adjacent to the San Pedrito Area and parts of northern Ambergris Caye have been filled with garbage. 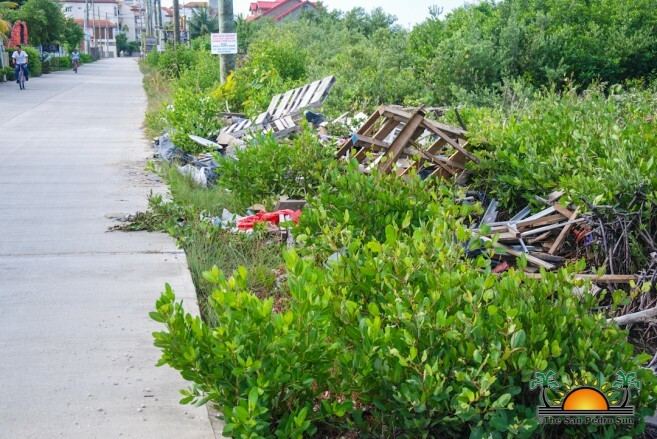 The Mayor said that it has been a common practice on the island for landfill for low-income families, but it must stop. 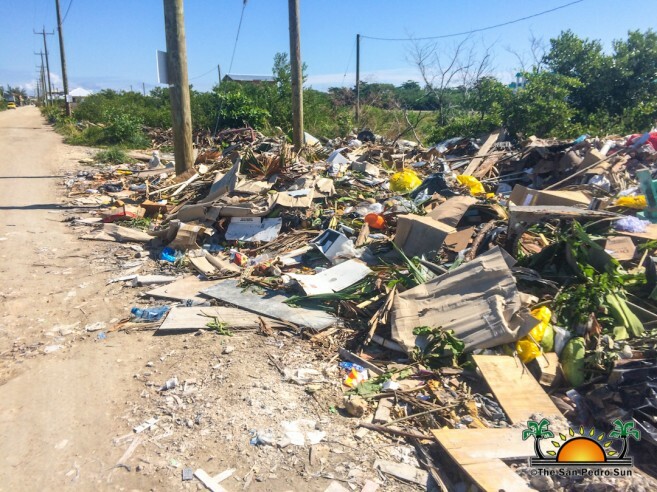 He claimed to be extremely concerned about the environment and understands the long-term impacts garbage can have on the natural resources around the island. 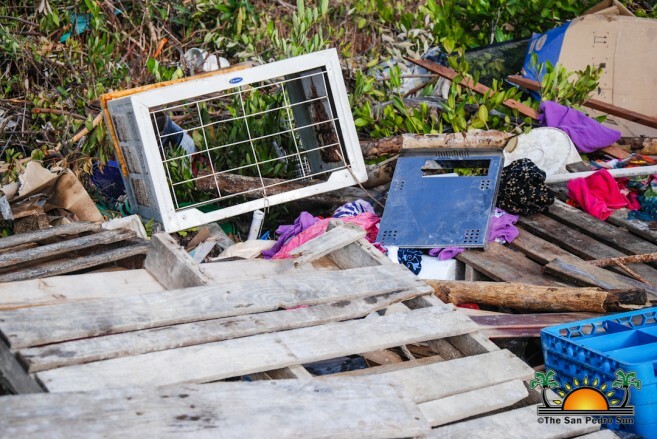 “I can understand the dumping of biodegradable items on a lot, but not old appliances such as refrigerators and stoves, that will not be tolerated,” Guerrero said. Speaking with DOE’s Anthony Mai from the Environment Compliance Monitoring and Enforcement Unit, The Sun was informed that their responsibility is to ensure that the environment is safe from any form of pollution. “Solid waste, especially in coastal areas must be managed properly to avoid contamination of soil, water, and ambient air,” said Mai. He stated that DOE had met with the SPTC concerning the matter and they are more than aware that such activity should be discontinued. Mai mentioned that that DOE has diligently pushed for the approval of the National Solid Waste Management Plan which includes the establishment of the waste transfer stations in San Pedro. “The Department is of the opinion that all solid waste should be taken to the transfer station for proper disposal,” said Mai. He concluded by acknowledging the issue has a social aspect on the island that cannot be overlooked. Mai noted that people living in certain areas of the island are in dire need of proper fill material for their own health and safety. Guerrero pointed out that an alternative to assist low-income families to fill in their land with the proper material instead of garbage which should be provided by Central Government. He also believes that other entities such as Non-Governmental Organizations (NGO’s) could assist with the task. “The Council cannot afford to fill in everyone’s property. Garbage is and continues to be our major expense, and with the expansion of our staff in the upcoming months, salaries will then take a big part of our budget as well,” said Guerrero. 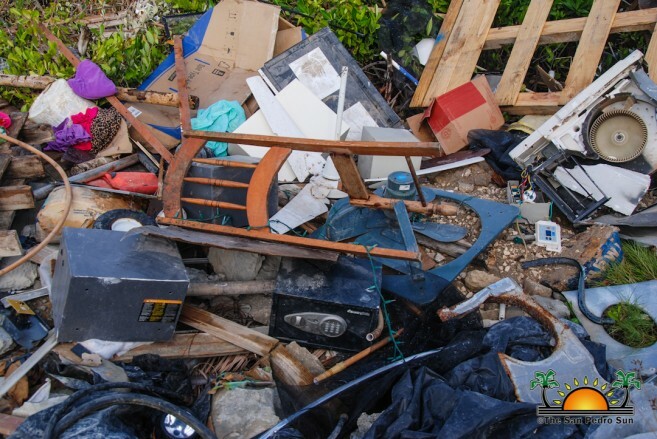 He briefly mentioned about the option to dredge for material for the areas where garbage continues to be used as fill, but indicated that it would be a topic of discussion with the environmental entities. Guerrero added that the SPTC is open to working along with environmental organizations and NGO’s in order to find a permanent solution. He refrained from discussing the Town Board’s budget and instead demanded that there needs to be more than just suggestions to the problem. The Mayor expects concerned NGO’s to offer financial support when offering landfill solutions while the SPTC attempts to enforce strong environmental awareness in regards to landfill. The trash issue on the La Isla Bonita has also drawn attention from Oceana Belize, who categorizes the situation as ‘catastrophic’. 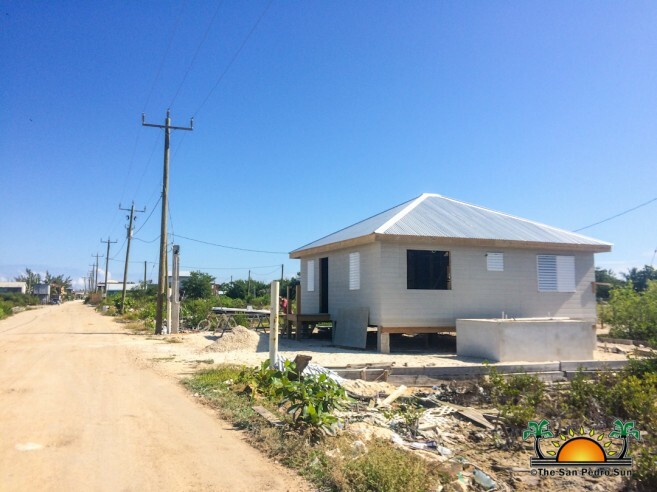 According to Vice-President Janelle Chanona, they are ready to come onboard and work along with the SPTC to alleviate the sad situation on Belize’s prime tourism destination. Chanona believes the situation is a case of national interest, one that not only damages the sensitive environment, but threatens the livelihood of the many islanders that depend on fishing and tourism. 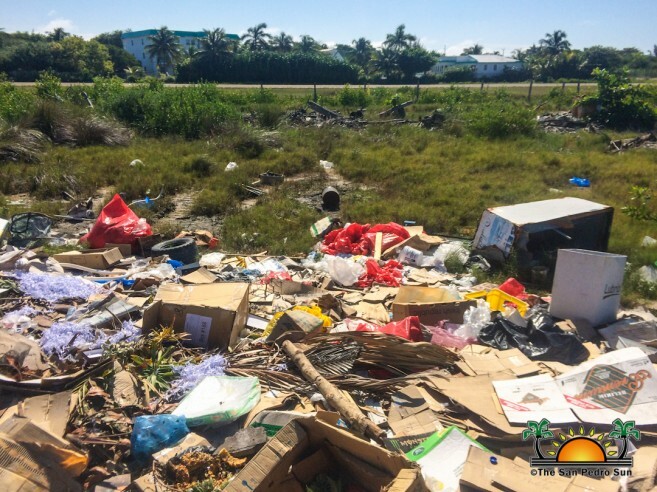 Additionally, the People’s United Party Mayoral Candidate on the island, Andre Perez believes that the problem is due to the failure to take appropriate actions against the ill-practice of garbage disposal. 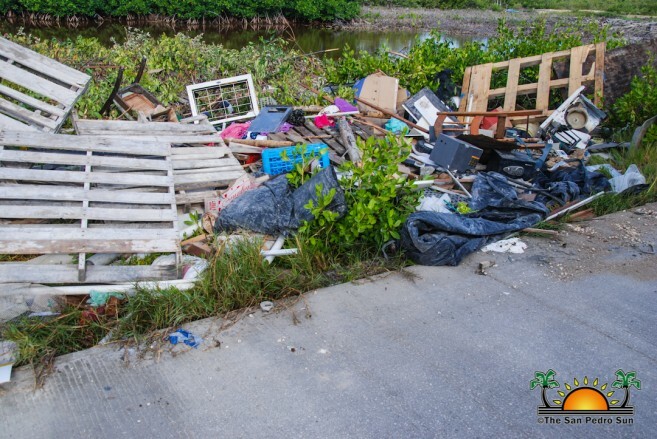 “We do know that many areas suffer day to day with illegal dumping and even the illegal disposal of sewage waste. To begin addressing this problem, the Council must first call an emergency meeting with all freight and haulage trucking individuals who are authorized to pump raw sewage or collect garbage from businesses and private residences,” said Perez. “Establishing a partnership with them is key. People must be explained the serious environmental hazards they create by trying to circumvent the rules.” Perez agreed with Guerrero’s idea to create a group of permanent officers to police such matters and work along with environmental organizations. The SPTC invites the entire community to join them in their mission to keep La Isla Bonita Clean. They urge everyone to comply with the new upcoming regulations for a better and safer community. Meanwhile, they continue to ask residents to stay vigilant and report any signs of illegal dumping. Reports can be made by visiting the Town Board’s office at Barrier Reef Drive or by calling 226-2198.